I decided to make doenjang-jjigae (Soy Bean Paste Stew) after a week of thinking. I don’t hate it! It’s just because I have never tried it before. I’ve ordered Kimchi-jjigae, Yukgaejang and Budae-jjigae, but not doenjang-jjigae. The minor changes I made: Instead of making anchovy and kelp stock as written in her recipe, I used pork ribs in place of that. I believe using chicken stock will be fine as well. It is, I wouldn’t say similar, something like Miso Soup. 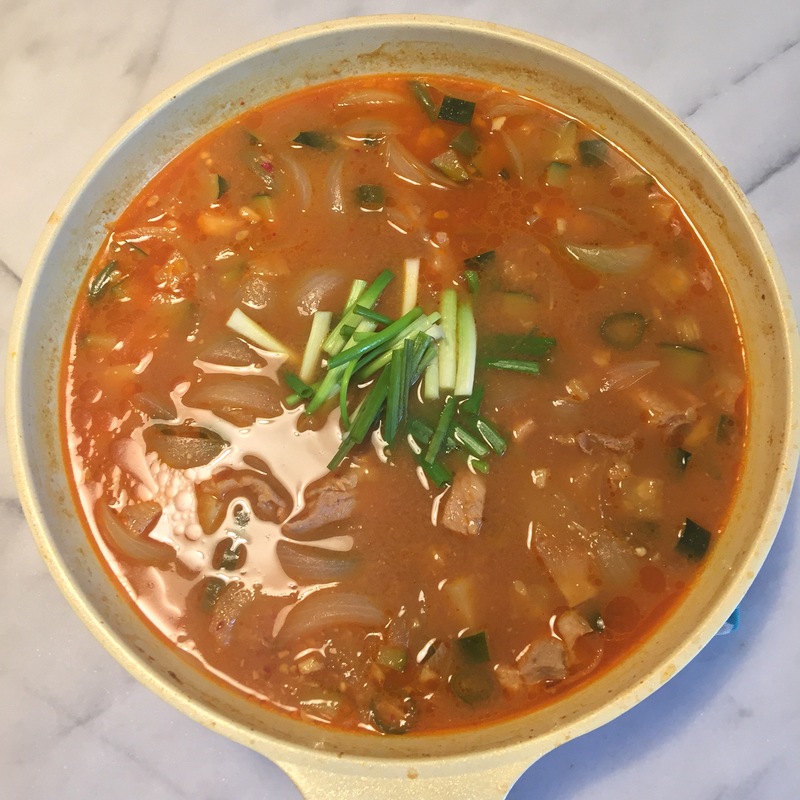 Doenjang-jjigae is not as salty as Miso, considering that I used 5-6 tablespoons of soy bean paste in this stew. And the longer you boil the stew, the more intense the flavour!